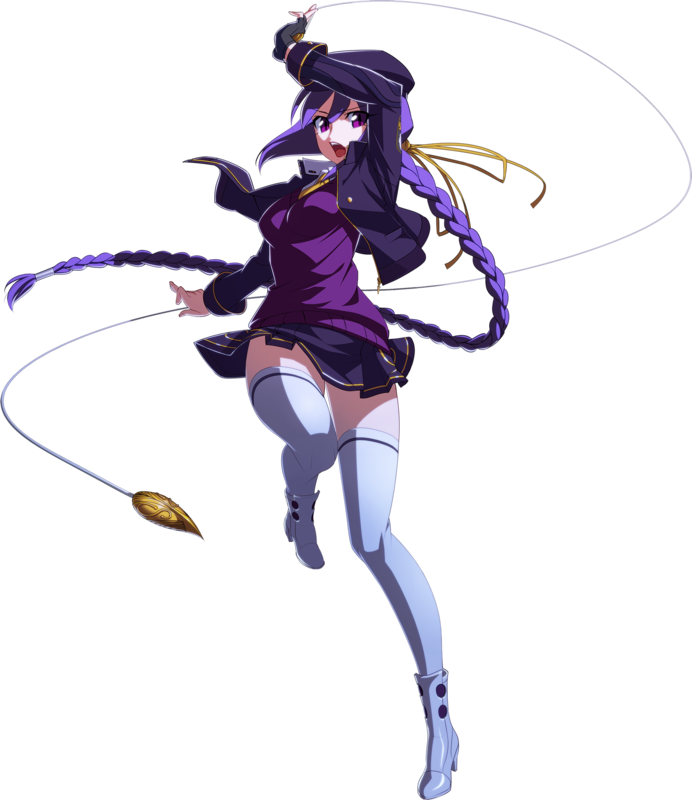 Eltnum is a character originally known as "Sion Eltnam Altasia" in the Melty Blood series. Her UNIEL story is as follows: A mysterious girl who is said to have saved a city from a dark vampire, once upon a time... At least, in appearance. Aside from the fact that she calls herself "Eltnum", no one knows anything about this character. She suddenly appeared in the dark night, and then returned to darkness equally as fast, earning her the title of "Drifter". The Night of a city, which she claims to be her territory. It has become her mission to educate the young rookies in the strict ways of her industry. 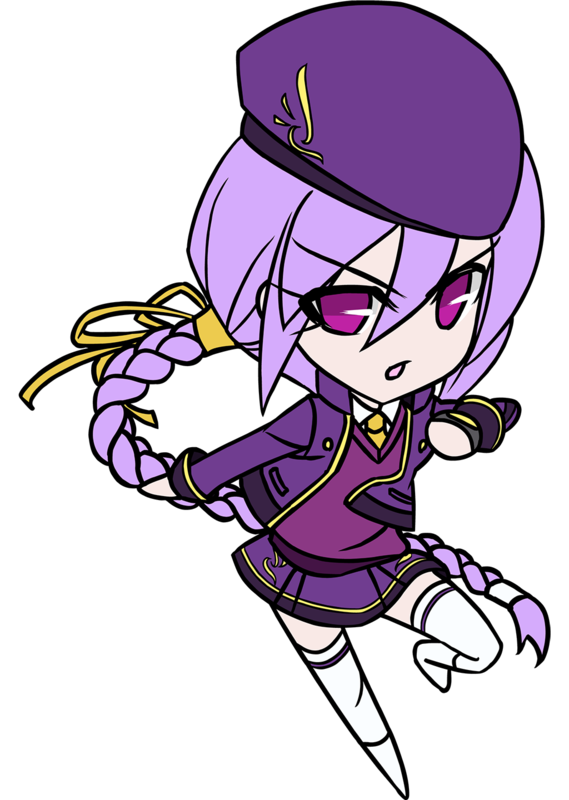 Wow, I'm actually doing a review on a Melty Blood character... (but keep in mind I'm reviewing her as she appears in UNIEL). Her in-game story in UNIEL is pretty hilarious, as she shamelessly plugs Melty Blood and comments on random things like how the stages are wider, and guest characters in fighting games don't usually have stories. lol. Clever way to fan service! 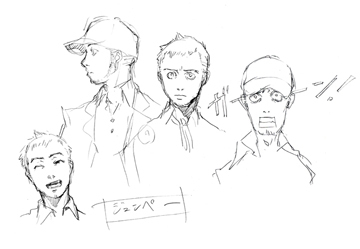 Anyhow, as a design... at first glance, she's usually the type of anime character I overlook. "Girl in skirt wearing random other clothing." -__- Alas, one of tne main reasons I was never interested in Melty Blood or most other doujin fighters. (Those games have 15 different girls in skirts, usually with swords or brooms or something. Meh.) 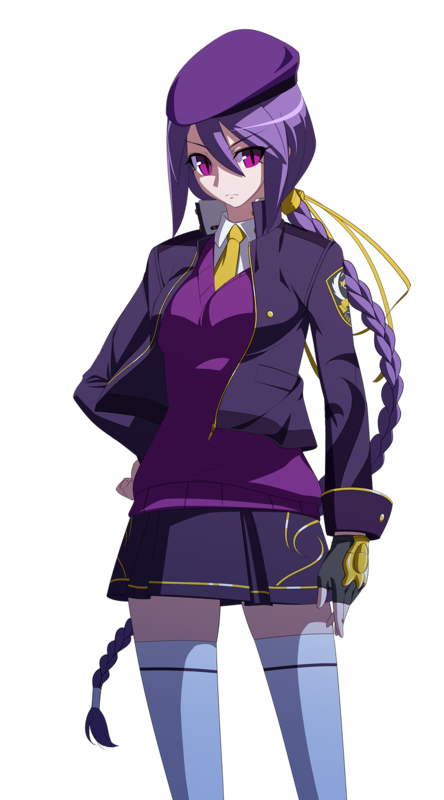 Anyhow, there must be a reason they put her in UNIEL. I s'pose her rope dart attacks in combination with her gun & ammo system make her somewhat interesting, especially her combos. 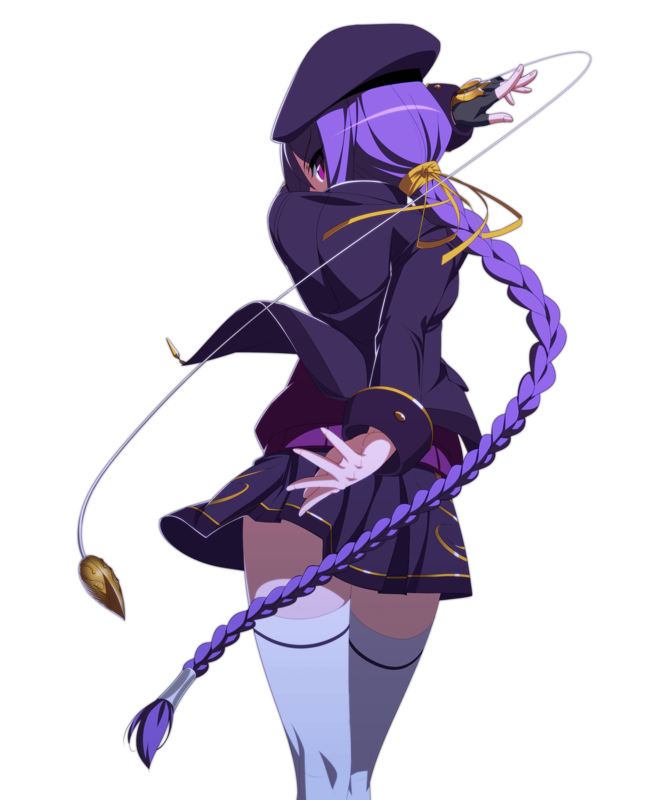 She's pretty much the Cable or Naoto of UNIEL. Other than that, I was much more impressed with other UNIEL characters. Again, she's mostly there for Melty Blood fan service.